I first glimpsed a newsletter by this band at Progfest 95 (or was it '96? ), and to be honest I thought it was some form of hate group and didn't give it another glance. The singer was bald, had a mark on his forehead, and a look in his eyes. There was something unsettling about the whole thing. Well, it turns out they are a Christian band! 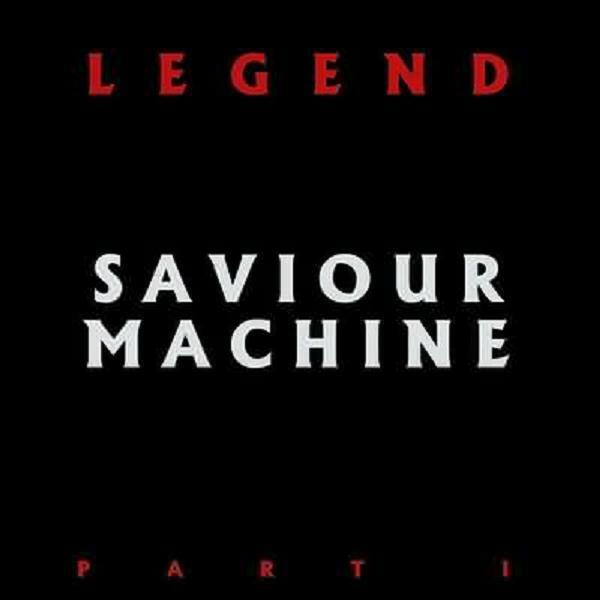 Legend Part 1 appears to be a concept album concerning the Book of Revelation, "a soundtrack for the end of the world." The album starts out as a pleasant enough type of "Bible Gothic"; the quiet grinding of (semi) metal guitars, some nice piano, and the male voice who sings very low (and sounds a lot like David Bowie). After a few listens though, the lack of emotion in singer Eric Clayton and the complete lack of tone change in composition make this a really tough listen. Almost every song has the same formula: start slow, build up and end. Problem is it's the same song over and over. Many also feature overblown orchestrated sections. Eric Clayton is Saviour Machine's heart and soul, and he really needs to alter his delivery a bit; he sings in a deep monotone, almost spoken style, and this lack of octave change gets old real fast. Taken one at a time the songs are okay, but over the 77 minutes of this CD, there just isn't enough change. I am sure many will like this just for the subject matter, but I think the music must come first.